Chan Cox in the dining area of The Wine Bar in Destin, Florida. 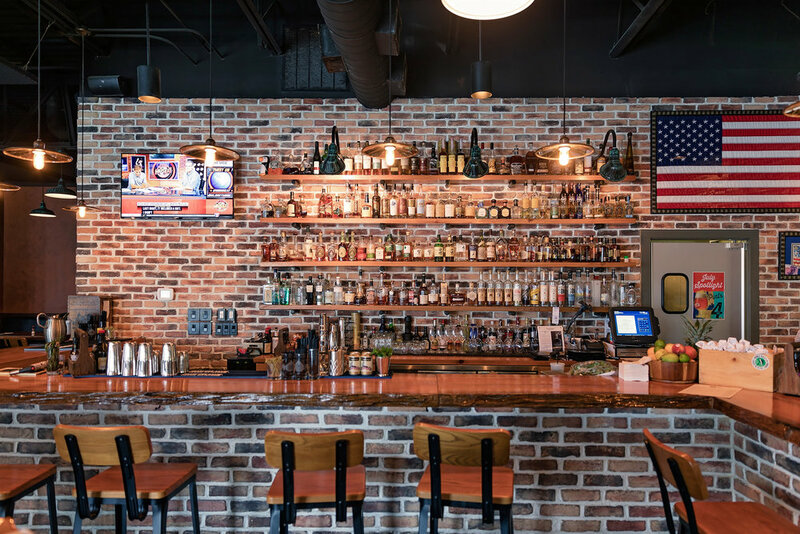 I've been a huge fan of a bar/restaurant that we have over in Destin, Florida called The Craft Bar. Been then a bunch of times. But never even noticed on the exact opposite side of the building - The Wine Bar. 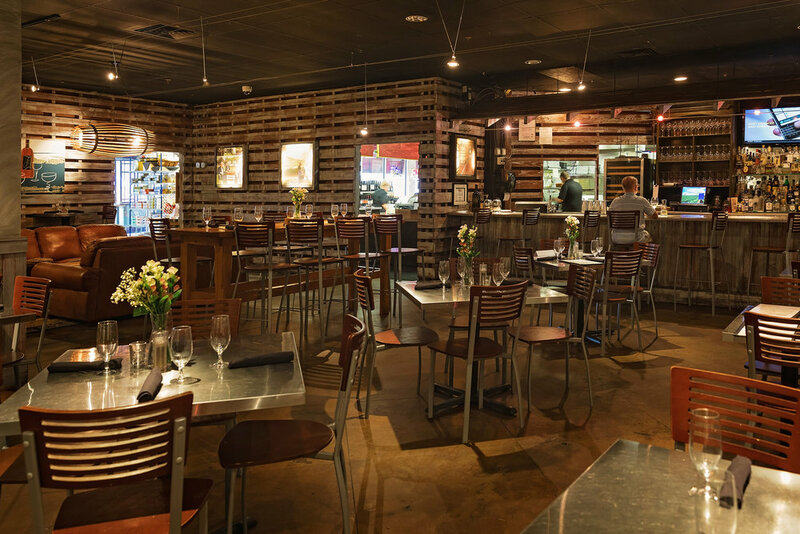 So when I got the call from Market Watch to shoot not just the Craft Bar, but also the Wine Bar and Chan's Wine World - I was all in! And here are the tear sheets from the December 2017 Market Watch magazine! 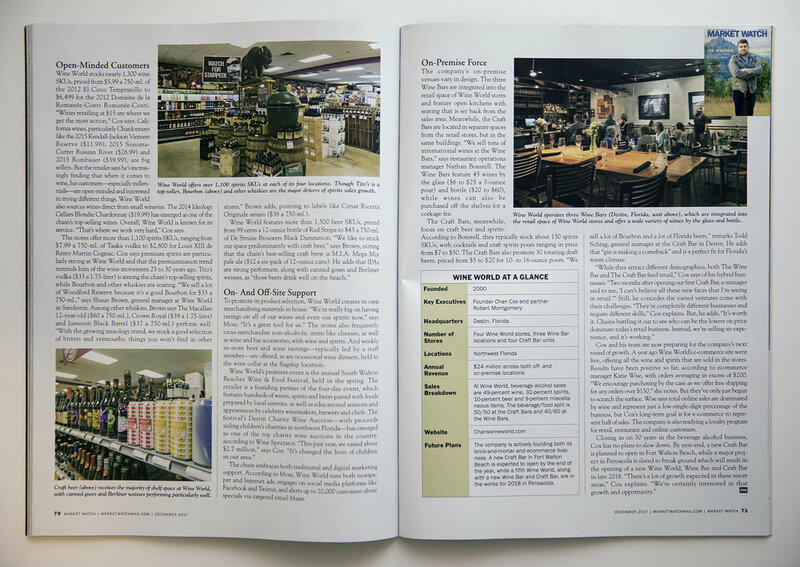 First two pages of the article about Chan Cox's Wine World in Destin, Florida. 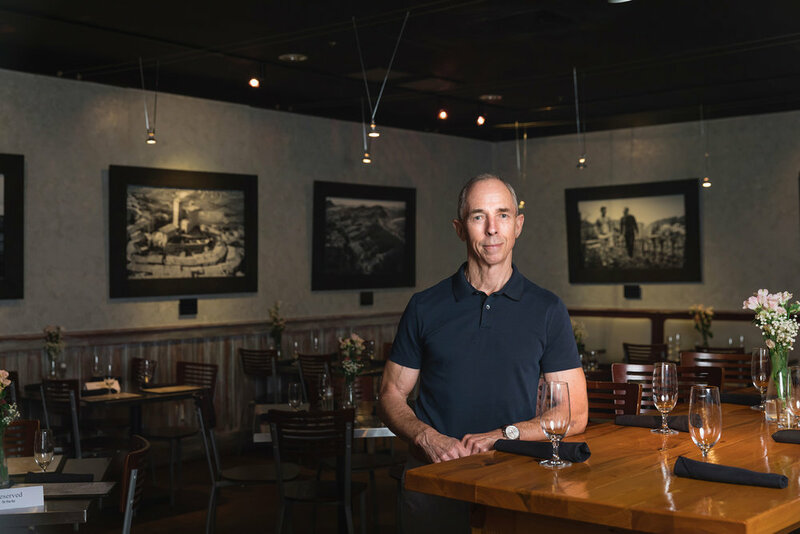 Next two pages of the article about Chan Cox's Wine World in Destin, Florida. I got the call on this shoot all the way back in 2016 right around this time of year. The shoot finally was published this December so I can just now talk about it! 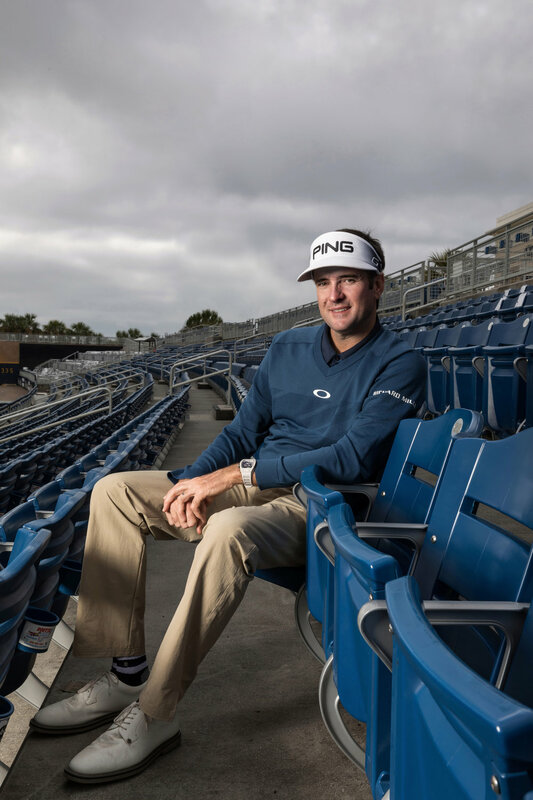 Along with Bubba being awesome at golf, he is also huge in the Pensacola area with a load of different businesses, one being part owner of the Blue Wahoos baseball team. So I was given the assignment of photographing him at the stadium. Most of the shots involved him and a baseball bat, but I was more drawn to the shots of him on the plain backdrop and sitting in the stands. We needed a nice shot of the baseball field behind him with blue skies above and the water beyond the stadium, but as these things go, we shot on a cloudy winter day with zero sky and the stadium was being used for football practice, so we didn't even get the baseball diamond. And we only had a max of 30 minutes with Bubba. All the more reason to have multiple setups for these kinds of shoots! We arrived about two hours early to setup the locations and test lighting. I actually had a flash nose dive down the stadium about 20 ft, scare me to death, yet still survive! 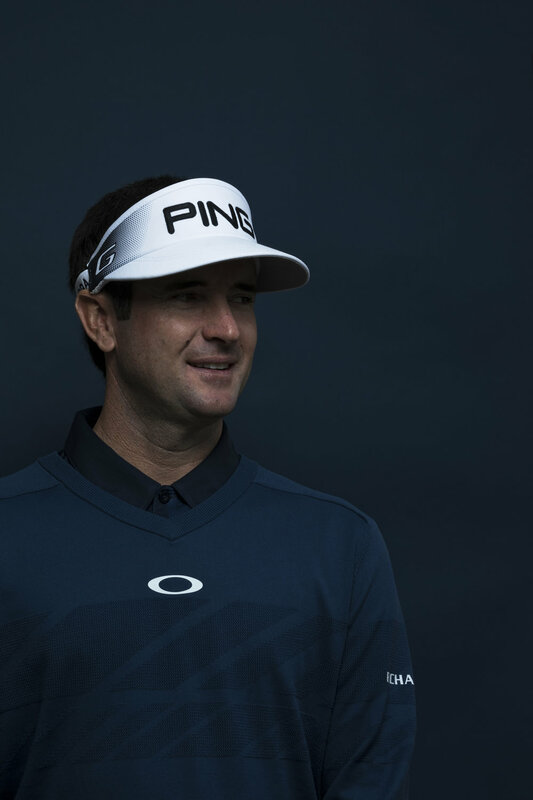 Bubba was awesome and super easy going. Happy to work with me on everything and I've actually shot him again on two additional occasions for more magazine features. Still haven't gotten him on a golf course yet though! This shot was a flash lighting test that wasn't quite where I wanted it to be but I ended up liking it as one of my favorite shots. A bts shot of the quick and easy backdrop we setup for an additional safety headshot for the magazine. 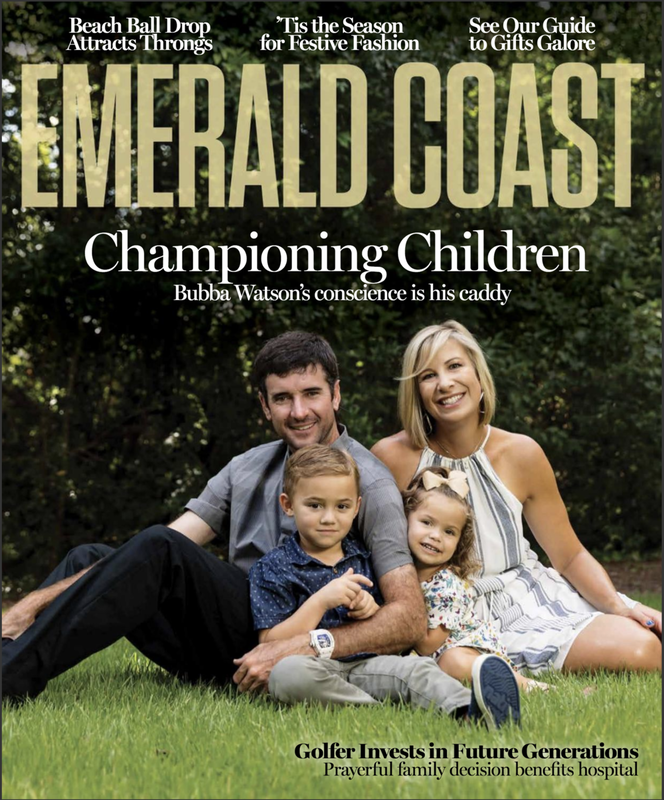 Tear sheet of the Dec. 2017 cover I shot of Bubba Watson and his family. 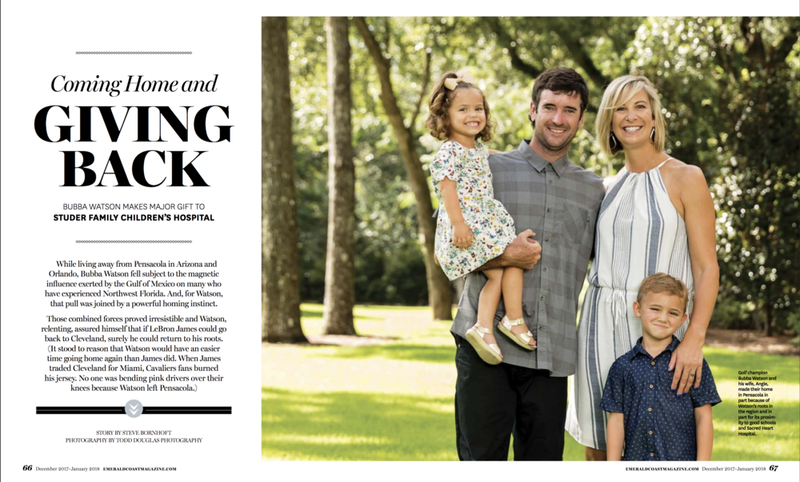 Inside double truck tear sheet at the beginning of the article. I was excited and a little bit nervous when I was sent this assignment. Paloma is legally blind but she hasn't let that stop her from doing anything. It's actually fueled her to work even harder and help others in her position. She started a website called Paloma's Dream and a Fund the Gap campaign that raised over 1.25 million bucks! So when they told me about the assignment, I was given the basics but I had no idea how much energy this shoot would bring, how much direction I would need to give and how Paloma would do. Also, the only images I could find of Paloma were of a very young girl. Let's just say - she completely nailed the shoot. She couldn't have been more lively and more energetic. Hilarious as well! Everything went perfectly and we got a lot of great options for Oprah magazine. She's also gotten even more press since then, even being features in this Tallahassee article. If you've ever been to a sightseeing location and used one of those massive binoculars that's bolted to the ground - you know the ones that force you to find 50 cents for 60 seconds of view time - this is where they are born. In Fairhope, Alabama of all places! Yet again, Business Alabama has sent me on location to a place right nearby that I had no clue about. I spent the afternoon with these awesome people, watching and documenting their hard work. Test Pilot Mark McCullins shot inside a brand new Airbus airplane at their plant in Mobile, Alabama. And yes, it did have the new car smell to it.